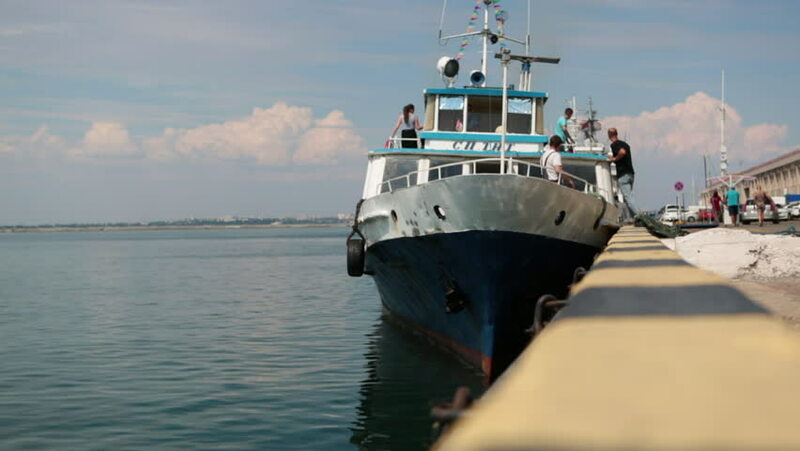 hd00:09Odessa, Ukraine July 13, 2018: leisure boat full of tourists sails from pier in port and goes on sea voyage. pleasure boat carries tourists to sea excursion. hd00:18Small fishing boat in Pacific Northwest sea on sunny day. hd00:22SYRACUSE, ITALY - MAR 14: Tanker aground on the coast of Syracuse on March 14, 2012 in Syracuse, Italy. 4k00:09San Diego, California, United States - April , 2017: USS Midway Museum in San Diego, California.